Every so often we all act like idiots. All of us want to do better. It's part of being human — we can't escape it. But that doesn't mean we shouldn't strive for greater things each and every day. And sometimes, just sometimes, an advert can help us see how to get there. These videos aim to express a deeper message than just selling stuff, about who we are and how we can improve ourselves. Scroll on for this week's Video Worth Sharing. The premise seems a bit cheesy (forgive the pun). But this social issue ad does a surprisingly good job of incorporating Burger King's product into the core concept without making it seems forced. In fact, this ends up being both touching and inspiring. Common Sense Media is a not-for-profit that helps families understand and deal with the technology in their lives. Will Ferrell is so supportive of the cause that he dedicated his time for this funny-not-funny series of ads that explore just how wedded to our smart devices we've become. 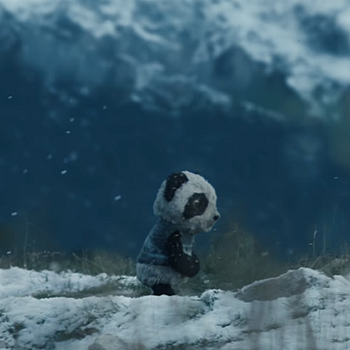 Beautiful storytelling, gorgeous visuals and wonderful character design all come together in this heartfelt ad from bluetooth tracker Tile. It's pure branding bravado but, despite the propagation of this type of content, it still managed to bring a tear to our eyes.